Our mens medieval and renaissance costumes section is something of a doozy. Because medieval times and the renaissance literally span several hundred years of time, there are a large number of costumes that fall into this category. But this is good for you; it means you have dozens of medieval and renaissance costumes to choose from, if going medieval sounds like an appealing costume option for Halloween. Here you will find all the fierce Viking costumes you could ever wish for and more. Here, you will find regal princely and kingly costumes waiting for their royal debut. Here, you will find noble knight costumes, savage barbarian costumes, and all sorts of other wicked warrior costumes that will allow you to unleash your inner fighter. 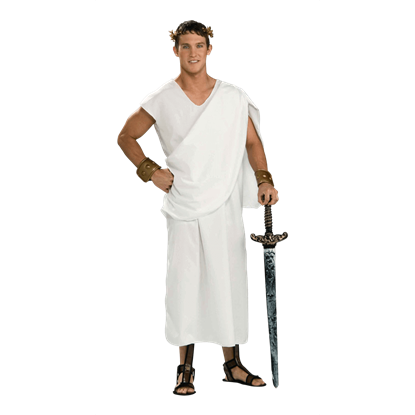 Here, in the mens medieval and renaissance costume section, you will find all the costumes you need to transform any man into virtually anything he wants to before almost any occasion he wants to be it. 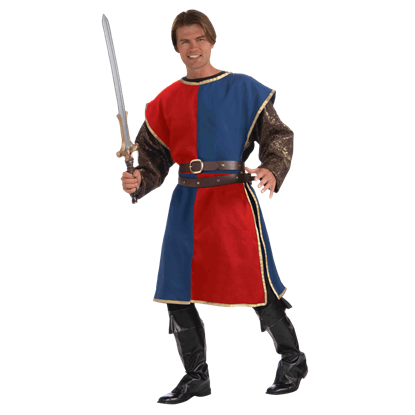 That is right: our mens medieval and renaissance costumes are not just great Halloween costumes; if you know an event that needs a costume, then you can likely find a suitable and appropriate costume here, within the mens medieval and renaissance costumes section. 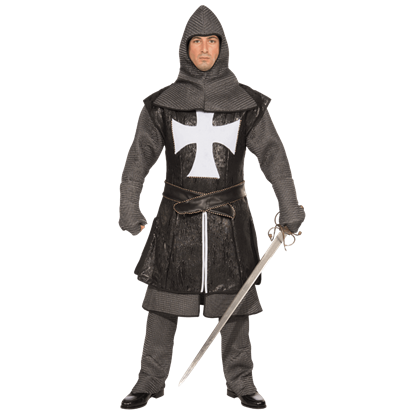 So whether you are looking for comical, serious, simple, or grand costumes, or whether you are going to costumed conventions or just wearing costumes with the guys, you can find any number of excellent and appropriate costumes in our mens medieval and renaissance costumes section. Nostradamus has attracted a following that credits him with predicting many major world events. 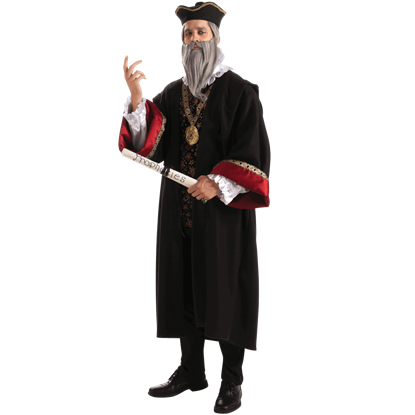 Now you can predict the future with this Adult Nostradamus Costume! Turn up as the famed reputed oracle at your next costumed event. Whenever someone speaks of a medieval knight, it typically calls to mind a powerful figure wearing shining armor of plate metal. 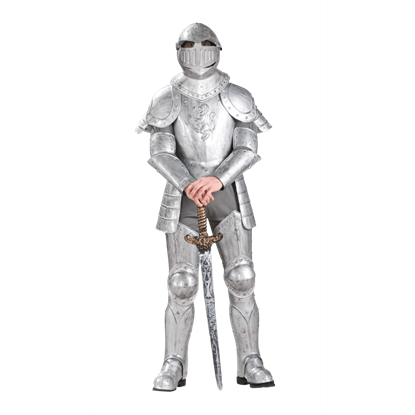 This Armored Knight Mens Costume does not disappoint in its delivery of a classic knight in armor. The samurai were the ruling class of warriors for virtually all of Japans feudal era, and have gained notoriety as some of the finest warriors in history. 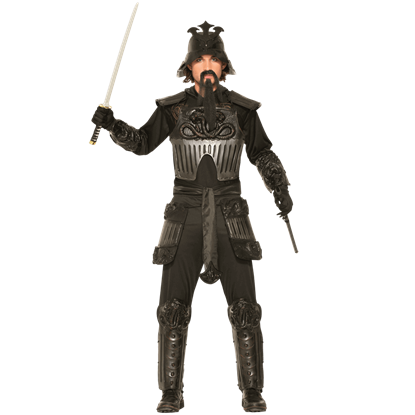 Now you can show off the same look with this Armored Samurai Mens Costume. 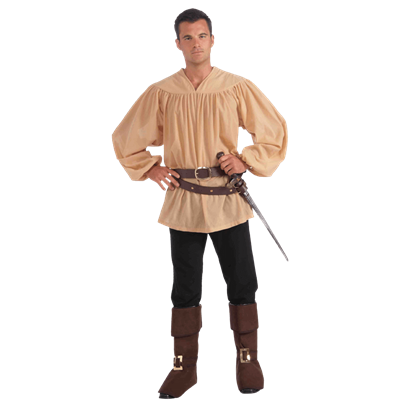 An authentic renaissance costume is made up of authentic pieces, and none look quite as nice as this Beige Medieval Shirt. This shirt features a simple style that makes it quite versatile, being the perfect addition to dozens of looks. There was no one uniform for the noble knights of yore. 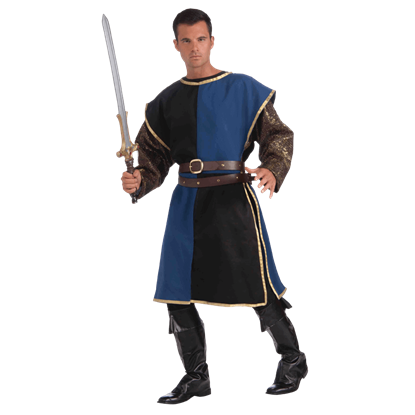 This Black Knight Mens Costume recreates the striking look of a mail-armored warrior, making it a perfect choice for tourneys, jousts, crusades, and almost any medieval event! You have completed your training and your final test awaits. Will you join the Brotherhood of the Dragon and defend your empire, or will your name be erased from history? Put on the Blades of Death Mens Costume and face your fate. Rarely did a knight wear anything that was completely devoid of significance. For example, as simple as the Blue and Black Medieval Costume Tabard looks, even the coloration and design on this piece can have greater meaning. Rarely did a knight wear anything that was devoid of all significance. For example, as simple as the Blue and Red Medieval Costume Tabard looks, even the coloration and design on this piece of knightly garb can have greater meaning. There is absolutely no denying that monks, in spite of their monastic nature, are some of the best dressed medieval men in history. 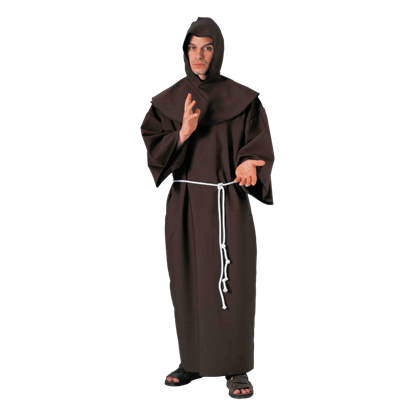 And now, you can match their classic look with your very own Brown Monks Robe Mens Costume. Before you start your quest to find a fairytale princess, you ought to dress the part. 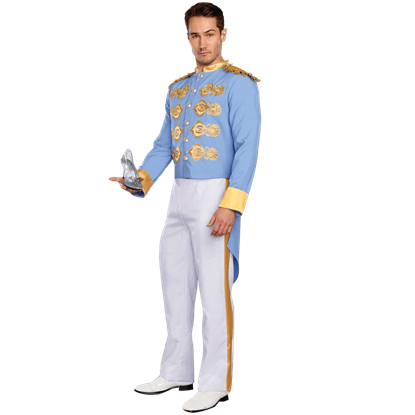 Adorned with rich gold trim, this Charming Prince Mens Costume is an excellent choice for any lovelorn prince in search of his perfect match. 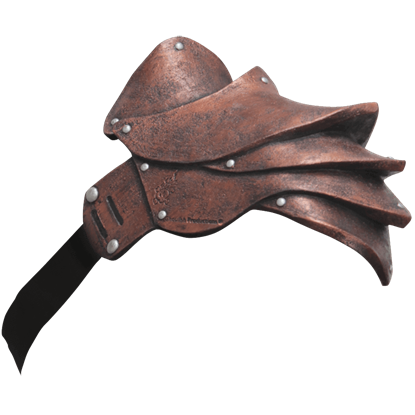 Perfect for warrior costumes of all sorts, the Copper Costume Pauldron adds a fantastic touch to your look. The costume armor is molded into a detailed design with nicks to make it seem as though it has been worn during battle.